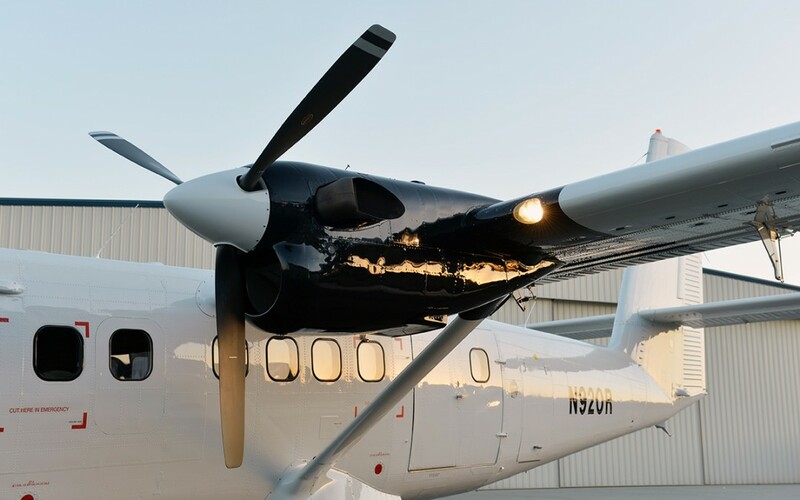 IKHANA offers a variety of customized Supplemental Type Certificate (STC) modifications for the DHC-6 Twin Otter series aircraft that include improvements for expanded mission capabilities and increased payloads. The RWMI DHC-6-200HG™ STC increases the payload capabilities of the basic DHC-6-100/-200 aircraft from 11,579 lbs. (5252 Kg) to 12,500 lbs. (5670 Kg), while IKHANA’s RWMI DHC-6-300RG™/-400RG™ STC is a restricted category STC allowing operation of DHC-6-300/-400 series aircraft from 12,500 pounds (5670 Kg) to 14,0000 lbs. (6350 Kg) for special purposes. The IKHANA RWMI DHC-6-300HG™/-400HG™ is currently in the FAA approval process as a Standard Category STC, which will allow operations to 14,000 lbs. (6350 Kg) and will be applicable to all operators. IKHANA’s products include a line of proprietary “Re-Life” STCs: RWMI DHC-6 Re-Life Wing Box™, RMWI DHC-6 Re-Life Nacelles™, RWMI DHC-6 Re-Life Flight Controls™, and RWMI DHC-6 Re-Life Fuselage™, which are all FAA, TCCA, and EASA approved. IKHANA also manufacturers the Twin Otter X2™, a “Zero Time” Twin Otter aircraft with new structural life limits of 66,000 hours or 132,000 cycles, whichever comes first, the same as a factory-new aircraft. Offered with a brand new interior, new engines, customized avionics, and all new wiring, the Twin Otter X2™ combines IKHANA’s Re-Life™ STCs as an entire airplane packaged with a new fully useful life. IKHANA Aircraft Services, a DBA of IKHANA Group Inc., provides DESIGN – BUILD – FLY solutions to the aerospace industry through integration of new technologies, aircraft modifications, heavy maintenance, major repair, and critical parts manufacturing. Headquartered at the French Valley Airport (F70) in Murrieta, California, IKHANA holds FAA, EASA, Transport Canada, and Fiji repair station approvals, FAA Parts Manufacturer Approval (PMA), and is a Viking Air Factory Endorsed Service Center. IKHANA has a proven reputation for developing unique engineered solutions across a wide variety of aircraft platforms and diverse customer base including extensive experience in the DHC-6 Twin Otter, King Air, and Gulfstream airframes.